The Western Energy Storage and Transportation Header Project (WEST Header Project) is the proposed construction of a new approximately 650-mile, large-diameter interstate natural gas pipeline designed to move natural gas bi-directionally between multiple receipt points and multiple delivery points, including storage, throughout multiple states in the Western Energy Corridor. 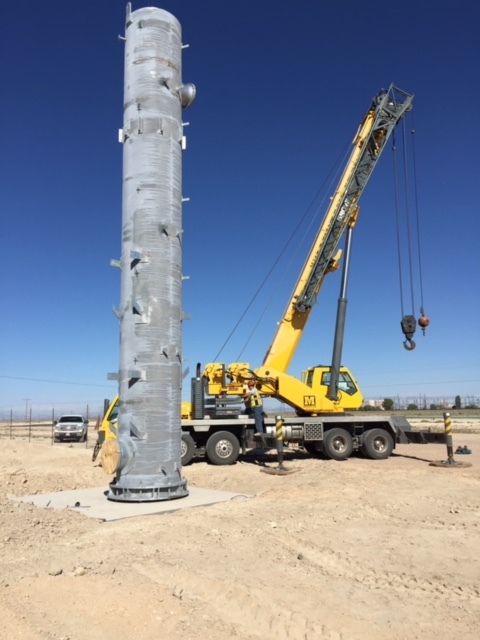 The WEST Header Project is being designed to maximize the 40 BCF of High Deliverability, Multi-Cycle (“HDMC”) salt cavern storage (currently FERC certificated and under development by Magnum Gas Storage, LLC (MGS)) located near Delta, Utah. The WEST Header and MGS are wholly owned subsidiaries of Magnum Energy Midstream Holdings, LLC (“MEM”). MEM is a wholly owned subsidiary of Magnum Development, LLC, a Haddington Ventures, LLC, portfolio company. MGS is developing an HDMC, salt-cavern-based natural gas storage facility that will be located in central Utah north of the town of Delta in Millard County, and just south of the Intermountain Power Project. The Magnum Gas Storage Project will be connected by a new header pipeline to the Kern River Gas Transmission and Questar Pipeline systems at Goshen, Utah (see map on Page 2). Goshen provides direct access to Rockies-priced gas supplies via the Kern River system and the Questar Pipeline system. Backhaul and/or displacement capabilities exist on the Kern River system between Goshen and major gas plants (Opal/Pioneer) and pipelines (Northwest Pipeline GP, Rockies Express Pipeline LLC, Questar Overthrust Pipeline Company, Colorado Interstate Gas Company, and Ruby Pipeline LLC) in the Opal, Wyoming, area. 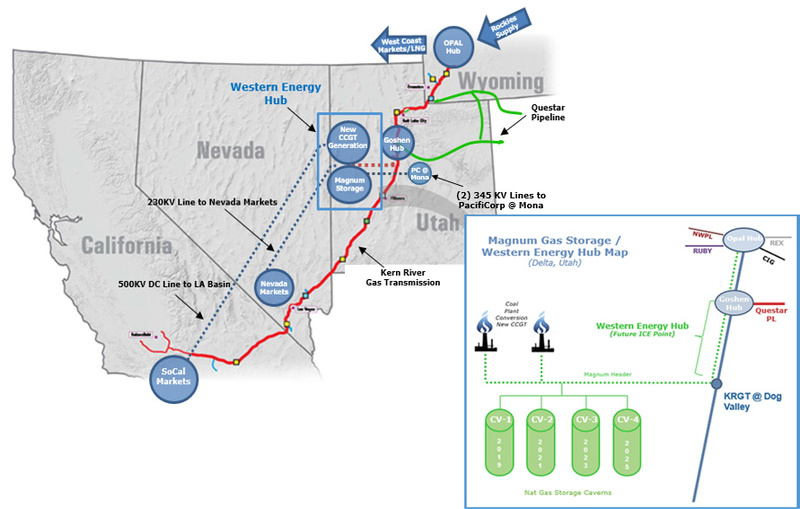 Through these interconnections, the Project will be able to receive gas from various gas production sources throughout the Rocky Mountain Region and will be able to supply highly flexible storage services to markets in Utah and the Western U.S.
MGS’s initial plans call for the development of two salt caverns through solution mining (“Phase I”) for an approximate total working gas capacity of 20,000,000 dekatherms (“Dth”). Each natural gas storage cavern will have working gas capacity of approximately 10,000,000 Dth. MGS has FERC approval for expansion capabilities to develop an additional two caverns (total of four), each with 10,000,000 Dth of firm working gas capacity (“Phase II”). Project potential (Phase I & II) may provide up to 40,000,000 Dth of working gas capacity.